Most people are familiar with the use of words for numerical values such as "dozen" for twelve and "pair" for two. Chemistry employs a similar concept with the mole (abbreviated mol), which refers not to a small burrowing mammal but to the number 6.022 x 10 to the 23rd power. The number is far more precise than that, but for most calculations this is sufficiently accurate. Derived from the number of atoms in 12 grams of carbon-12, the mole allows the molecular weight of a substance to be used as a conversion factor between moles and grams of a substance. Write the formula for the substance with the number of moles. Chemical formulas describe the number of atoms for each element in a substance. For example, water has the formula H2O indicating each molecule contains two atoms of hydrogen and one atom of oxygen. The number of moles for each substance is written before the formula with values of one mole not written. Two moles of water is written as 2 H2O and 1.8 moles of water is written as 1.8 moles H2O. Total the atomic weights for each atom in the molecule to find the molecular weight of the substance. 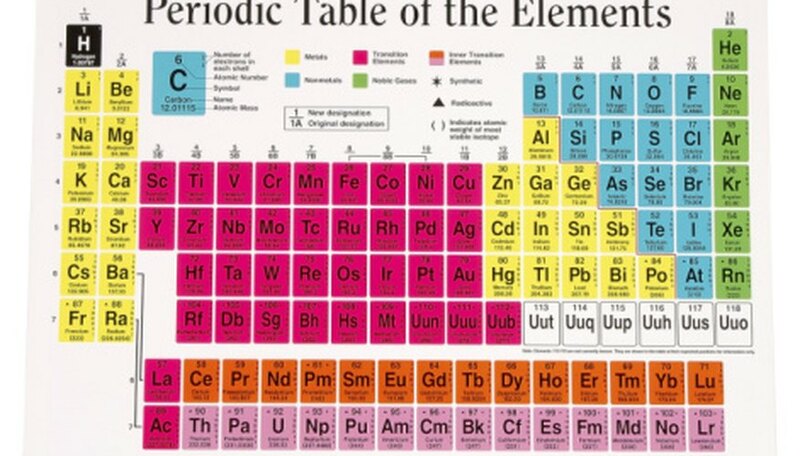 Atomic weights are listed on the periodic table below the symbol for each element. For example, the molecular weight of water is found by adding the atomic weights for the two hydrogen atoms and one oxygen atom in each molecule. The atomic weight of hydrogen is 1.008 and the atomic weight for oxygen is 16.00, so the molecular weight is 18.02 (1.008 + 1.008 + 16.00 = 18.02). Multiply the molecular weight by the number of moles for the substance. The molecular weight is the number of grams per mole for the substance and gives the conversion factor for moles to grams for that particular substance. So, one mole of water has a mass of 18.02 grams (1 mol H2O x 18.02 g/mol = 18.02 g). Two moles of water have a mass of 36.04 grams (2 mol H2O x 18.02 g/mol = 36.02 g). Fractions of a mole are calculated the same way so that 1.8 moles of water have a mass of 32.44 g (1.8 mol H2O x 18.02 g/mol = 32.44 g). Chandler, David. " How to Convert Moles to Mass in Chemistry." Sciencing, https://sciencing.com/convert-moles-mass-chemistry-8491987.html. 24 April 2017.